Little Office of the Blessed Virgin Mary: 24. MARRIAGE FEAST AT CANA. 24. MARRIAGE FEAST AT CANA. THE MARRIAGE FEAST AT CANA. "Whatsoever He shall say to you, do ye" —St. John ii. 5. There is a great lesson in this simple Gospel narrative; and as they read it the hearts of Mary's children overflow with joy, for the Gospel speaks of their Mother, and shows them the first of the miracles of Jesus, performed at Mary's prayer. Here, for the first time since the holy Mother of Jesus found her Child in the temple, and took Him back to Nazareth, does the Gospel speak of her, and between these two scenes of her life, between the words of the Child Jesus in the Temple, and those of Jesus at the marriage in Cana, we shall find a touching likeness. Cana was a little town of Galilee, two leagues from Nazareth. The bride and bridegroom, who were kinsfolk or friends of the Blessed Virgin, invited her to the wedding. The family was not rich; the guests had assembled in great numbers, and towards the middle of the feast the wine began to fail. Then Mary, whose heart felt for the confusion about to come upon the bride and bridegroom, came to Jesus, and with wonderful simplicity and confidence said to Him, in her sweet voice, "They have no wine." "Woman," our Saviour gravely answered her, " what is it to Me and to thee ? My hour is not yet come." Woman! Why does not Jesus call her Mother ? He Who loves her with so filial and reverential a love! Eighteen years before, when Mary found Him in the temple at Jerusalem, amongst the doctors, He did not call her Mother, and answered her tender reproach in words almost severe: " How is it that you sought Me ? Did you not know that I must be about My father's business ?" (St. Luke ii 49.) Then, as now, the majesty of the Eternal Word shone forth in the reply of the Son of Mary, and the Mother's voice seemed to have lost its power. But let us observe what follows. Mary bowed her head to the apparent rebuke; she humbly worshipped her God in her Son, and at once, O wonder of wonders ! Jesus obeyed her. What are we to learn from this mystery? Why such severity, so speedily followed by filial obedience? Mary herself will teach us. " My soul," she says, " doth magnify the Lord, and my spirit hath rejoiced in God my Saviour. For He hath regarded the humility of Sis handmaid, and behold, from henceforth all generations shall call me blessed." It is because of her humility that Mary was chosen to be the Mother of God. It is because of her humility that all generations of Christians, who have been, and will be until the end of time, have called her, and will call her, blessed. We see humility throughout her life. Humiliation precedes the glory of Mary, as the star of the morning precedes the dawn, as the dawn itself precedes the day. Thus it is that Mary's glory shows itself to be the perfect image of the glory of her Son. The great Apostle St. Paul says of Him: "He humbled Himself, becoming obedient unto death, even to the death of the cross. For which cause God also hath exalted Him, and hath given Him a name which is above all names" (Philip, ii. 8, 9.) 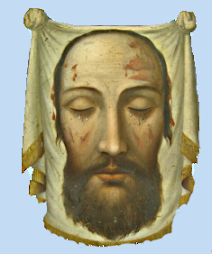 How deep were the woes, how bitter the humiliations, endured by Jesus and by Mary, before that hour in which the Eternal Father revealed the glory of His Son unto the eyes of men, by the marvels of His resurrection. The great power of Mary becomes all the more evident through the refusal of her Son, which may have made us for a moment doubtful of it. It is as though to this humble Virgin the power were given, to delay or to hasten, according to her will, the manifestation of the Divine Omnipotence. When, at twelve years old, Jesus confounded the doctors in the very temple of Jerusalem, she claimed Him, and recalled Him to her side, and Jesus returned with her to Nazareth. She, as it were, delayed for eighteen years the rising of the sun which was to enlighten the world." "At thirty years of age, He, the Sun of Justice, announced that His hour was not yet come to shine by His miracles at the marriage feast of Cana, but Mary, by her word, caused Him to hasten the hour of His miracles, as she had before caused Him to delay that of His public teaching." (Nicholas xvi. p, 380.) Mary, as we know, had not this power of herself. She received it from Him Who obeyed her. And the miracle of the marriage feast in Cana, shows us exactly the nature of this power, and the way in which the holy Mother of God exercises it for the salvation of us all. She simply exposes our needs to her Son thus: "They have no wine." She humbles herself before Him, when He seems to rebuke her, and when the Heart of Jesus is overcome by His Mother's prayer, she says to us, with her sweet majesty, as she said long ago to the servants of the bridegroom, " Whatsoever He shall say to you, do ye." The holy narratives of the Gospel contain almost always a twofold teaching: the literal history, instructive in itself, is, moreover, the symbol of a great truth; and it was the will of our Blessed Lord, who made use of parables and similitudes, to instruct the ignorant, that even the most simple events of His life should serve to open our souls to the highest truths. The moral and mystical lesson is united to the history, as the soul is united to the body. Thus, the miraculous draught of fishes represents to us souls drawn from the abyss of error; the new name given to Peter foretells the Papacy, the immoveable basis of the Church; the pardon granted to Magdalen announces mercy to all sinners; the resurrection of Lazarus promises to all the servants of God, a still more glorious resurrection; whilst the histories to which these miracles belong, show us our sweet Saviour, going up into a boat, with the fishers of Bethsaida; loving, pardoning, and weeping for His friend ; or, as in the beautiful account of the marriage in Cana, presiding at a family feast, rejoicing in the joy of those He loves, as He grieves over their sorrows. How beautiful is it, and how far above our comprehension, to see the King of Heaven, living our life, sharing our sorrows, and smiling upon our joys! Our religion is said by some to be gloomy, and our God severe. Let those who so speak judge for themselves. The Gospel commences, the first apostles are chosen, the mission of the Eternal Word is about to begin, and behold our Saviour seated at table with His friends of Nazareth; He consecrates their joy by His presence; He performs His first miracle to spare them a trifling annoyance. Let us learn to apply to our own lives the holy examples of the life of Jesus. When a mother speaks to her child she bends towards it, and the child stands on tiptoe to listen, stretching its arms and raising its eyes towards her. Jesus has lowered Himself to us with a mother's tenderness ; let us raise ourselves towards Him, to hear and to understand Him. What is. more like our daily life than this account of the marriage feast at Cana ? Kinsfolk and friends assembled to celebrate the wedding; Jesus and His disciples among those first invited, and the . Mother of Jesus present as the intimate friend, helping the mother to prepare the repast. May Jesus be among the first invited to our weddings. May the Blessed Virgin be the greatest friend of the family, the first consulted, the first called to share our joy and our labour. The pastors of the flock will then be without anxiety, and after having blessed the union of our children at the foot of the altar, they will be willing to see modest and Christian gaiety at home. Marriage was in all times a holy and solemn thing. The gathering of kinsfolk and friends at so important an event of life is natural and good in itself, since it strengthens family ties, and their presence, by adding to the solemnity of the marriage ceremony, helps to engrave the precious memory in the heart. Even the feast, given to all the guests, is an ancient and venerable custom, which recalls the hospitality of the patriarchs. There is nothing forbidden in mirth, provided it be seemly. Thus, Jesus Christ and His holy Mother did not hesitate to go to the wedding to which religious parents invited them. By this honour, which He disdained not to show them, our Saviour teaches us the holiness of marriage, and consecrates by His presence that indissoluble union which, in the Christian law, He has raised to the dignity of a sacrament. Moreover, it is His will to show us that the joy which accompanies a wedding, and the feast by which it is followed, may themselves be sanctified by His presence, and that of His holy Mother. That, from the highest heaven He disdains not to unite in the joy of Christian families, who invite Him to their weddings; that is to say, who consult Him, and pray to Him with their whole hearts, at this important moment of their lives, who call down His blessing with fervour upon the young bride and bridegroom, and who, even in their feasts, preserve the remembrance of His presence, putting from them with the greatest care all that might offend Him. And why should not we invite Jesus and Mary to our feasts ? In our sorrows and great necessities we are forced to think of them, and our prayer is but the cry of our grief. Why not think of them, then, in our joys, by a voluntary act of gratitude and love ? Think you that they would not rejoice in it ? Who then loves us better than Jesus and Mary? And even at our feasts and family meals, why should we avoid their eye? Do not we rejoice in the joy of our children, and can we think that our hearts are more tender than that of our Father who is in heaven ? The answer, alas ! is sad. If we invite not Jesus and Mary to our feasts, it is because we do not desire to make a seemly use of the gifts that God has given us, but to abuse them. All we have is from Him: from Him flow all our joys. When our labour has been successful, it is His blessing which has made it prosper. He has given us our children and our goods. He has made our harvests ripen. All things are His gift, even that wine which He increased at the feast in Cana of Galilee, at the prayer of His holy Mother, which He causes the vine to produce to support our strength, which He has chosen, with the bread that nourishes us, to be transformed into His Divine Blood in the most Holy Sacrament of the Altar; even that wine, which, like all things made by God, is, when rightly used, salutary and Useful, but is too often turned by men to a baneful poison, depriving them of their reason, degrading them and lowering them in the eyes of their children, and causing them in a few moments to lose the fruit of a labour which belonged to their family. All these goods, which we too often abuse, are the gift of God. Have we never thought that He can withdraw them ? While the harvesters are feasting and drinking at the close of an abundant harvest, the lightning may fall, and in a single instant burn up the harvest, and perhaps the reapers. Whilst our children are dancing and amusing themselves, forgetful of God, the house may fall on them and crush them, like the sons of Job, who all perished during a feast. How many men have gone out, their heads confused by wine, and have fallen, never to rise again, or have been drowned without a thought of asking mercy. Everything that we see in this world belongs to God. And chastisement follows close upon the abuse of His gifts. We should never make a bad use of anything, if we considered that the eye of the Master is ever upon us. But the eye of the Master is also the eye of a Father. Let us not fly from it. Let us, on the contrary, seek it; let us call it down on us. Let us use the gifts of our Father, and bless Him, but let us never abuse them. Let us imitate that happy bridal pair at Cana, who received the signal honour of having Jesus and Mary at their wedding. There cannot be a real feast, it is said, without kinsfolk and friends. Truly nothing is sweeter than to rejoice with those we love and who love us. What better friends shall we ever have than Jesus and Mary ? 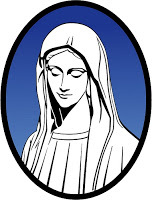 Mary is a kind mother, who watches over her children at all hours; a tender mother, ever ready to come amongst them. But she is a Mother who requires our reverence. Like her divine Son, she is purity itself. Unbecoming words offend her, she withdraws; and can we think that our Lord is disposed to bless feasts at which He, as well as His holy Mother, is offended ? Let us rather fear that they may draw down His curse. We need be none the less mirthful, nor need the feast be less pleasant. Pure hearts alone have the secret of true joy, of that joy whose morrow is as sweet as its eve, and which is never darkened by remorse. Let us ask it of Mary. The Mother of Sorrows has also the secret of unclouded rejoicing. When we ask it of her, she will reply to us, as she replied long ago to the servants at the bridal feast of Cana, " Whatsoever He shall say to you, do ye." With the consciousness of duty performed, and of the law of God faithfully observed, our rest will be as joyous as our labour has been sweet, and Mary, present in our pleasures as in our sorrows, will know how to increase our joy, as well as to console our sorrows. O kind Mother, whose tender and holy intercession opened for us the source of our Saviour's miracles, teach us the secret of thy prayer. Teach us to make known our wants with simplicity, to wait with patience, to resign ourselves when God appears severe, and to do with confidence all that He commands us. When we have prayed aright, teach us to accept as an appointment of His wisdom, the success that may follow our petition. If it be according to our desire, help us to thank Him. If it be contrary, help us to submit ourselves, in the deep conviction that He who ransomed us at the price of His Blood, loves us more than we love ourselves; that He Who created us knows better than we, what is fit for His creatures. Be present, O holy Mother, at all the actions of our life. May the thought of thee guide, restrain, gladden, and console us. And as thou hast been near us all the days of our life, be near us also in the hour of death, that it may be for us the commencement of a happy eternity in thy holy presence, and that of thy Divine Son. Amen. To judge of all our actions by asking ourselves this question: Should I do this without fear in the presence of Jesus and Mary ?